Grimm will return to NBC tonight with its fifth season premiere. 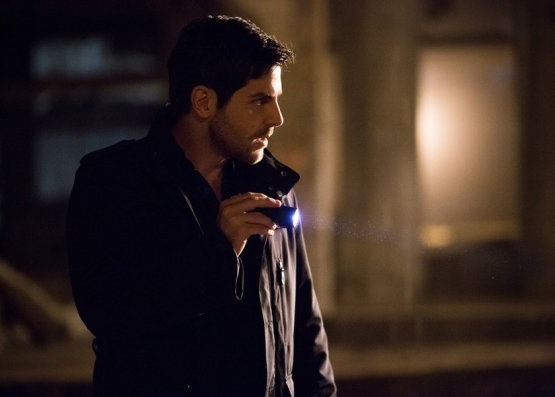 Nick, played by David Giuntoli, is back, and he will not be in a good place at all when the action picks up. Season five will begin right where season four ended in May. The finale shocked fans of the series, and it was something that generated conversation all summer long. The final moments of the episode saw Trubel shoot Juliette. Fans wondered if she would live after that, and that is not likely. Earlier in the episode, Nick found his mother’s head in a box, so in one day he has lost both his mother and the love of his life. That Grimm finale sets up a big change for the series for season five. Nick is no longer the same man he was when the series began. He is now looking for revenge, and his fury will take the show in a new direction. However, there is one bright spot in his life – his son. Adalind will give birth during the season five premiere, and fans will learn the baby’s name before the end of the episode. The premiere will deal with Juliette’s death and the events that followed. A group broke into Nick’s house after Juliette was shot. They knock Nick out, take Trubel, and take Juliette’s body and his mother’s head. Juliette’s death will not be easy on any one, but Rosalee will have a lot of issues with it. She and Juliette were close after all. As for Adalind, fans of the series will see a change in her. This time around, she wants to be a good mother to her child. She didn’t have a chance to do that with her daughter. Are you excited for the return of Grimm? Check out a preview of the premiere below. Tell us what you think. I did not know Grimm moved to Thursday and missed it in real time last night. My DVR is set to record “New” and it did not record. So can someone enlighten me? Thank you. Thanks because the e-mail dated 1/14 I thought said Grimm returns “tonight”. grimm took a great turn for the best. glad to see julette go. adalin has more to offer to the show. wu hank and monroe trubel all 4 help the show move on. great cast. Really so glad Grimm is back. Happy that Juliette is out of the picture she was really annoying. Hope Adalind is not the new love in Nick’s life. I can’t believe they killed off Juliette. I’m hoping they bring her back somehow after all its been done before. So glad for Grimm’s return. Although, I remember what happened to Nick’s mom but not Juliette. Very odd; I must have dozed. My favorite is Monroe.